The premier developer for mobile flight simulators expands to Nintendo Switch with a new game this February. Mountain View, CA – Jan. 31, 2019 – Atypical Games, the leading developer of handheld flight combat simulators, today announced the newest iteration in its award-winning Sky Gamblers series: Sky Gamblers: Afterburner for Nintendo Switch. Engineered with Atypical Games’ groundbreaking tech and 10 plus years of experience, Sky Gamblers Afterburner re-imagines Sky Gamblers: Infinite Jets as the genre-defining jet simulator for Nintendo Switch. The game will be available digitally on the Nintendo Game Store for $19.99 USD starting February 7. OPTIMIZED FOR SWITCH – Controller compatibility and user interface have been worked from the ground up to deliver a streamlined, optimized experience for Nintendo Switch players. Pilots can steer their aircraft using Joy-Con controllers, Pro Controller and Motion Controls. PLANES ON FLEET – Unlock, upgrade and customize the weapons and defenses of 30 contemporary and futuristic planes, each graphically enhanced for Nintendo Switch. Stick to real-world accuracy or cruise in an all-new creation from your own imagination. 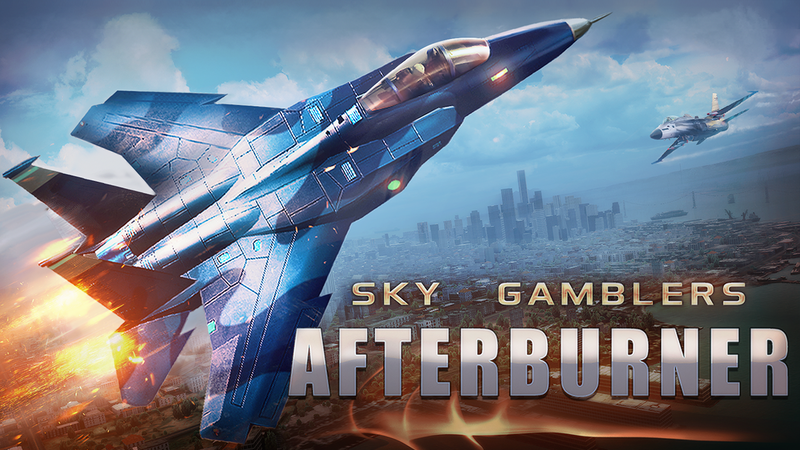 A press kit for Sky Gamblers: Afterburner can be found at https://drive.google.com/open?id=1wlftng0TkvkTaOHRBc2gdCnWTEZ7-5jr.